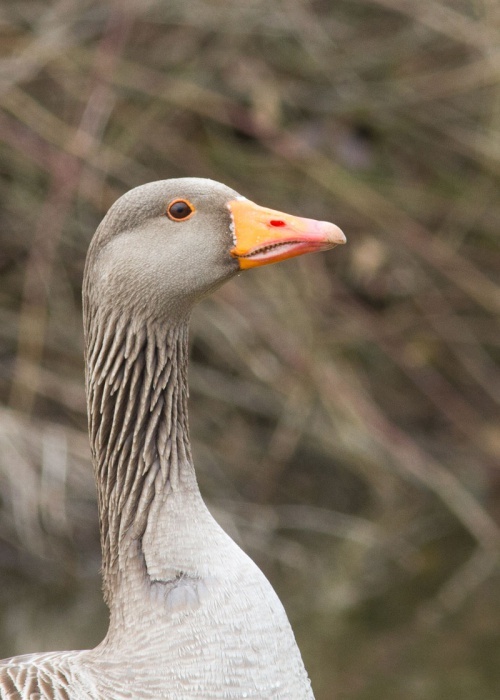 This is a large grey-brown bird with a pinky orange beak. 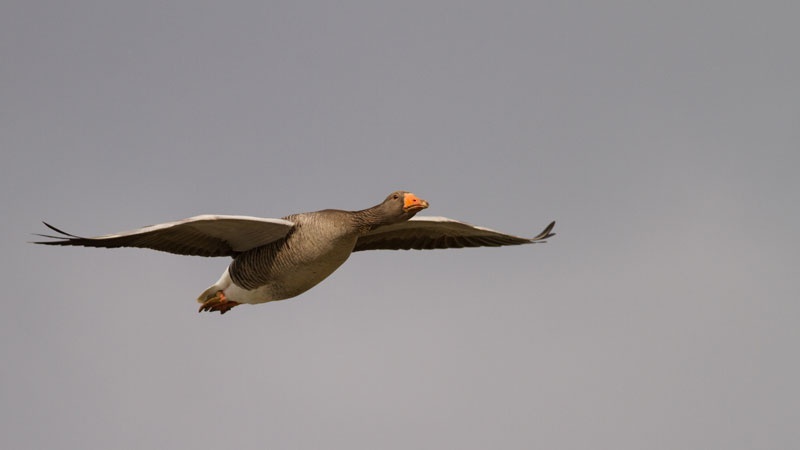 In flight it can be recognised by the white leading edge to its wings. 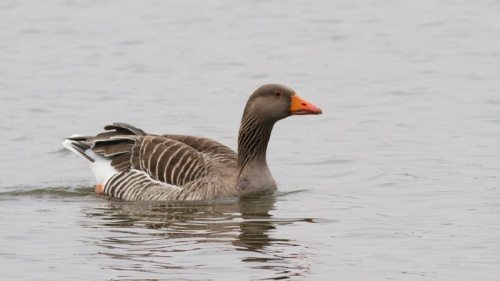 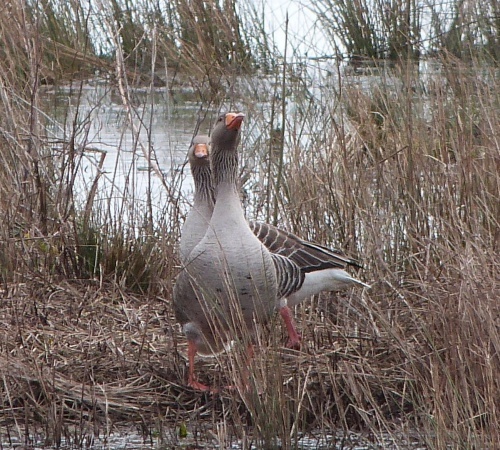 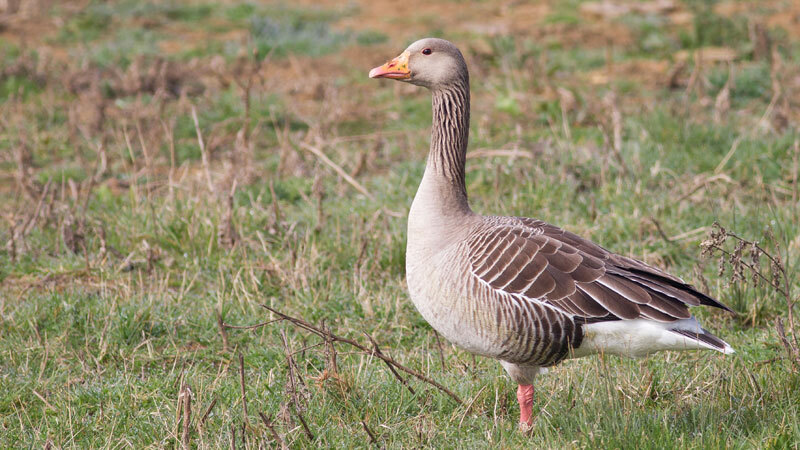 Greylag Geese are easily seen in lowland areas of the UK all year, sometimes even in suburban parks with lakes but especially on low-lying grassy fields in river valleys, but these are feral birds originating from captive releases. 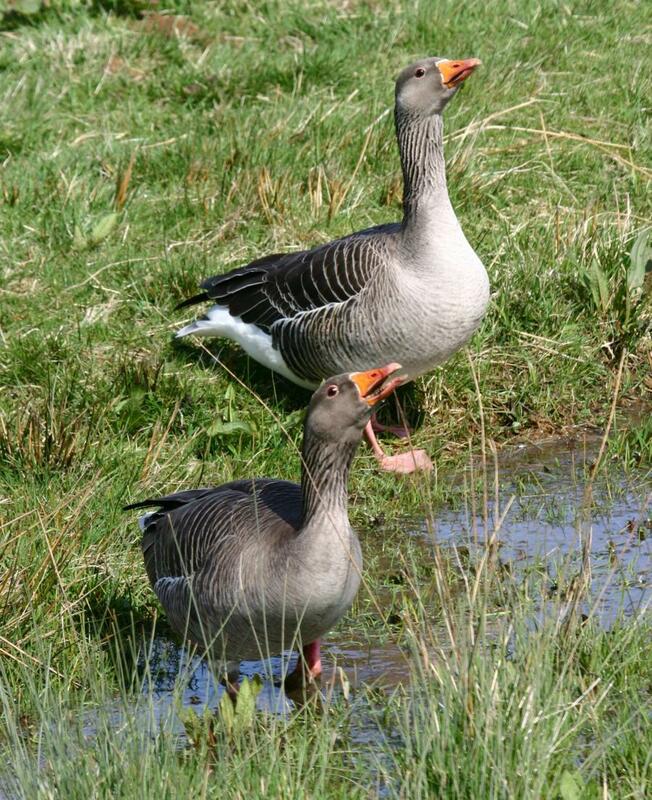 Wild ones, however, are found mostly north of the Solway in Scotland. All year round in the south; mostly September to March where wild visitors appear in the north. 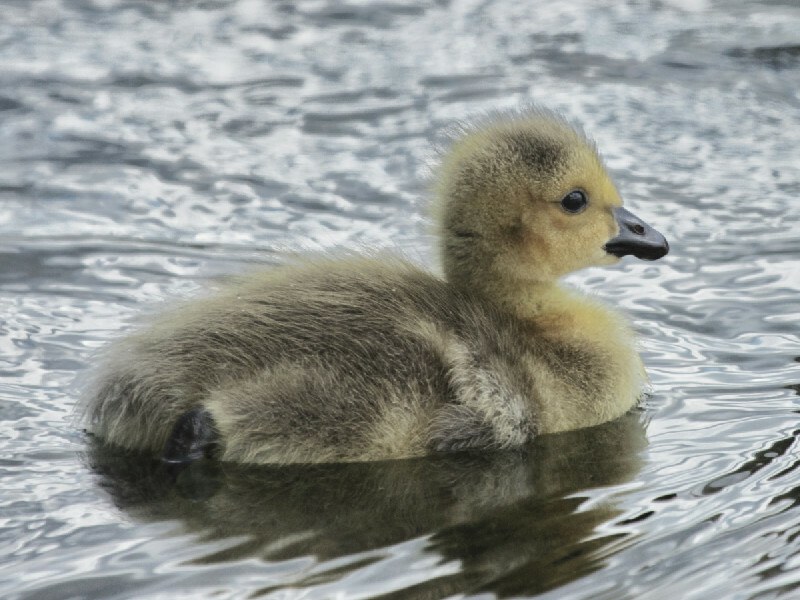 The ancestor of most domestic geese, the greylag is the largest and bulkiest of the wild geese native to the UK and Europe. 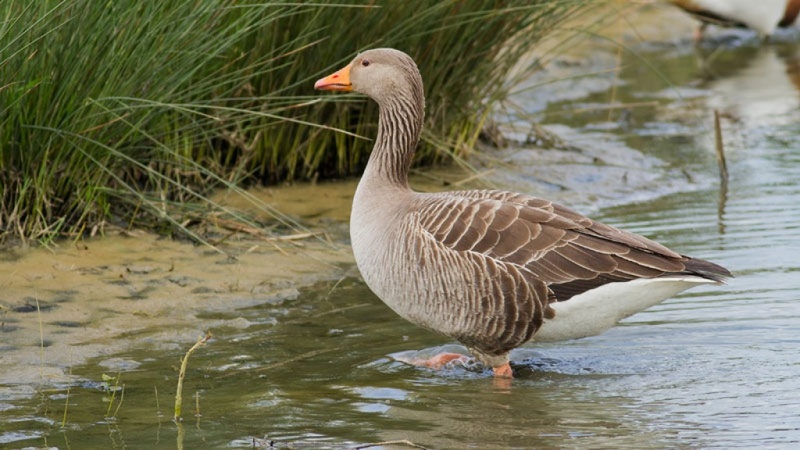 In many parts of the UK it has been re-established by releasing birds in suitable areas. Quite common as feral birds in Leicestershire and Rutland, less common as breeding birds.